In Europe, particularly in England, there’s a slang known as God botherers. Urban dictionary defines God botherer as “a person who bothers poor old God too much with [his/her] excessive annoying devotion & who tries to convert people to the lord”; usually against their wish. The opposite of God botherers is God worshippers. God worshippers don’t bother God. They only praise God and obey His commandments. Even when they want to talk to you about God they do it politely. Thus, in the new testament of the Christian bible, Jesus, in my opinion, differentiated God worshippers from God botherers. Jesus stated in Matt 6:33; “but seek ye first the kingdom of God, and his righteousness; and all these things shall be added unto you”. If you observe this, then you are a God worshipper. And so, you wouldn't ask for anything from God because He will automatically fulfil your needs. And for God botherers who wouldn't seek first the kingdom of God, Jesus told them in Matt 7:7 to “ask and it will be given to you; seek and you will find; knock and the door will be opened to you”. I guess this will be the hardest way of getting anything from God. However, God worshippers are mostly white people while God botherers are mainly black people. I say so because of the following reasons. White people, especially the Europeans have gone beyond “give us this day our daily bread”. They don’t ask for anything from God since their governments provide their basic needs. For example, the unemployed is paid unemployment benefit and there are homes for the homeless, etc. And because of this, the people dedicate themselves to serving humanity. Most of them have Charity organisations they make monthly contributions to. In fact, their governments structured it so well that the more money they donate to Charities the less tax they pay. Apart from contributing money to Charities, they also physically participate in Charity work. You’ll find them helping out in the trouble spots of the world. It’s either they are in Iraq, Syria, Afghanistan and so on, helping the victims of war or they are in West Africa fighting Ebola. They are kidnapped and sometimes killed in those places but those things don’t deter them. The more they are killed the more they'll go back to help the people. This baffles me sometimes. Besides, these white people barely attend churches or read the bible but they try to fulfil Jesus’ guideline as stated in Matt 16:25; “for whoever wants to save their life will lose it, but whoever loses their life for me will find it”. And for the God botherers who are mainly black people, the reverse is the case. They are the African leaders who perpetually peg Africans begging for their daily bread. African leaders’ obsession is to embezzle our common wealth. They stash most of the stolen wealth all over the world while the people remain poor. They and their families attend the best hospitals in Europe and America while their citizens have their destiny in the hands of those fraudulent Pastors. The children of these leaders attend the best schools in Europe and America while their citizens walk barefooted to dilapidated schools. 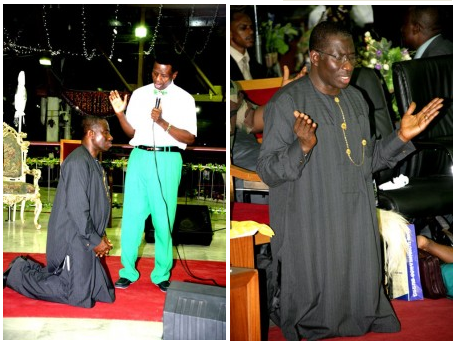 And these leaders are the first to go to church and kneel before a satanic Pastor to be blessed. And the Pastor will oblige them because they have been given part of the stolen wealth. In fact, the main God botherers are Pastors and Bishops of Pentecostal churches. They own and read the bible but will never practice what’s written in there. They shout in their churches through loud speakers as if God is deaf. They extort money from their members and you'll never hear; they donated anything to Charities instead they'll buy luxury cars and private jets. They slap the faces of children trusted in their care who they brand witches, like Bishop Oyedepo did. You will never see any of these God botherers serving mankind in war torn or disease infected countries. They are scared of death and Matt 16:25 is written in that bible they hold all the time. In all, my fellow Africans will continue to wallow in poverty until they start resisting these fraudulent African leaders. And if we want to rely on God to fight our cause, we should then start worshipping God than bothering Him.